Russia is officially the largest country in the world, and as you can expect from a country its size, there are huge varieties. Travelling to the country is easier than ever and thousands of people choose to visit it every year. However, if you are planning on visiting the country for any length of time there are a few things that you may want to keep in mind to ensure your trip is as good as you hope it will be. Even the locals don’t the water so don’t even think about drinking it yourself. Much of the plumbing in Russia is old and the sanitization systems are mostly not up to the standards that we are used to. The usual rules about water in foreign climates apply – so stick to bottled water for drinking, and, as always, check the seal before using. No, not really, I’m not that cruel. 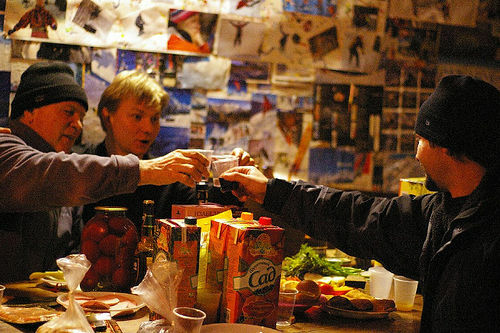 Genuine vodka is just as good in Russia as anywhere else in the world, but “hooch” vodka is not. There have been a number of deaths in Russia as a result of drinking the illicit stuff, and you don’t want to be one of them. Make sure you buy your vodka from a reputable store or a decent hotel bar, and make the sure the label is ok, and, preferably, a brand you know. It is not uncommon for drinks in bars to “spiked” so do be careful – it might be safer to leave your drinking to the hotel bars. Ok, use them; they are probably safer than walking in the roads, but exercise caution. Russian drivers are not noted for their high standards, and they may drive on the pavements. In truth, you are probably reasonably safe in the well populated parts of the cities, but if you go further out… Remember that much of Russia is covered in ice and snow for large parts of the year, so even if the drivers are paying attention, there may be a genuine accident. Pedestrians don’t have the right of way in Russia so even if you are where you should be, you might still get the blame for being in front of a car! Don’t Kiss the Girls! Or the Boys! For all those singletons out there looking for a good time, my advice is: practice abstinence in Russia. HIV and STDs are on the increase. If you can’t abstain, take your own protection with you. Sorry to sound like a prophet of doom, but the hospitals are not always as clean as they might be. And, to be honest, they probably won’t meet the standard that you are used to. They often don’t have the most modern equipment and quite often are subject to cuts in the power supply. So what are your options? Well, follow the tips above, check with your healthcare professional about any vaccinations required about eight weeks before you go, make sure you take enough of any regular medication with you and just generally take care of yourself. If you are in a city, there may be a Western medical center which you can visit too so don’t lose hope if something unfortunately does happen. After all of this, you are probably wondering why you’d bother going to Russia. Well, the cultural heritage has to be seen to be believed! 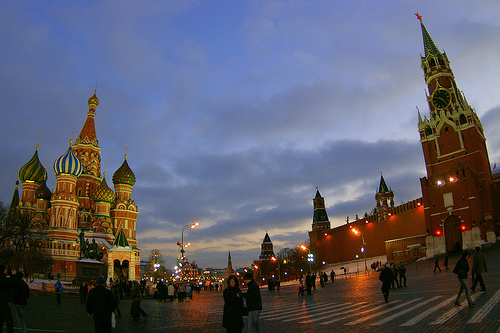 Not just Moscow, although that is an amazing city, but each region in Russia has something to offer. If you take care, you’ll have a great time. No matter where in Europe you are sure to have a great time if you stay safe and healthy. So why not make the experience even better with some top notch accommodation? Visit the Owners Direct website to browse through some of the best villas and apartments Europe has to offer. This entry was posted in Health, Travel Tips and tagged Russia. Bookmark the permalink.